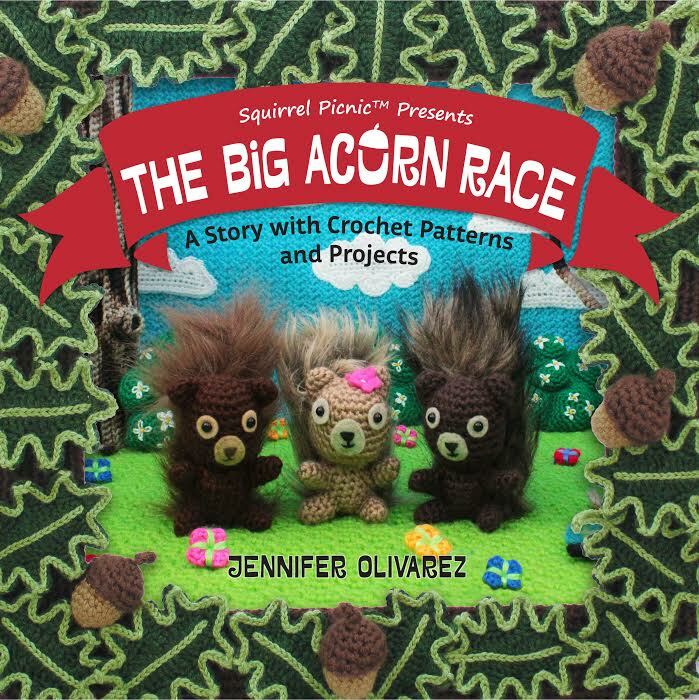 The next few weeks will be super busy for me as I attempt to crochet everything needed to tell the story of the Big Acorn Race. This includes all the props and even some of the characters themselves. It seems like I’m crocheting everywhere I go. I’ve been crocheting on the bus, on my lunch breaks, in line at the store. But if you know me, you’re probably thinking Weren’t you doing that before the book came along anyway? Yeah, you’re right. But now I feel like I’m crocheting with a purpose. Although it’s felt a little frenzied at times, so far I’ve been successful not to let the pressure take the fun out of it. That’s very important, you know. 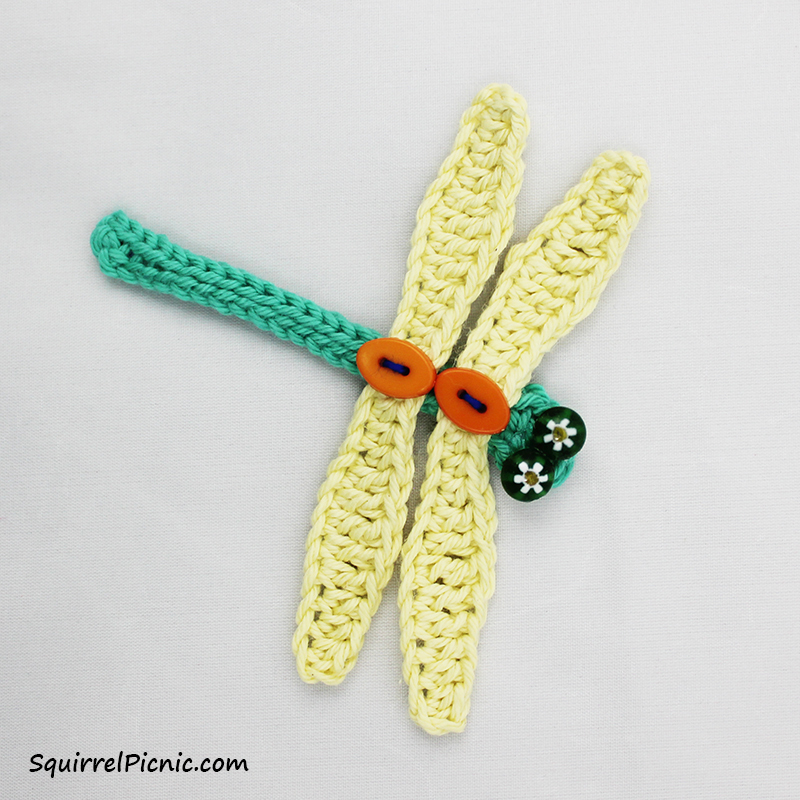 Categories: Crochet It, SQUIRREL PICNIC (the book) | Tags: crafts, crochet, dragonflies, Mayor Snack Frog, miniature, squirrels, story | Permalink. The Big Acorn Race Update: We’ve Got a Cover! This has been an exciting month! It’s also been extraordinarily busy. (Isn’t it funny how the two always seem to go hand in hand?) 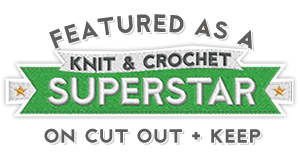 I promise to write a separate post about designing and creating all the new patterns, working with pattern testers, choosing fonts, and hashing out what will go in the techniques section. But for now I just really want to share with you something near and dear to my heart, something I’ve dreamed of for over two years now… we have a cover for Squirrel Picnic’s very first story and pattern book! Big love and thanks go out to Sylvie Abecassis for designing the graphics and working her magic on my photos. I am always amazed by the talent she possesses. She has a big heart, a wealth of design knowledge and skill, and a generous and caring spirit. I can’t thank her enough for this beautiful gift. Now that I have a cover, expect to see it everywhere! Speaking of which, I’m working on a website for the book where you will be able to find news and updates and any interactive features I’m able to create. That all may be a little ways down the road, but I’m excited about this next step in the adventure. Thanks as always to every one of you. I hope you are enjoying this journey. I’m sure happy to have you along for the ride. 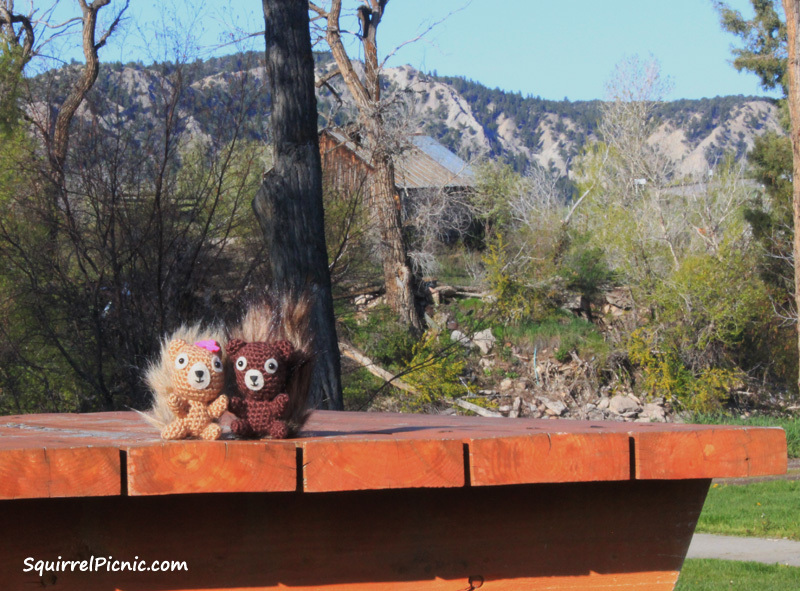 Categories: SQUIRREL PICNIC (the book) | Tags: amigurumi, books, crafts, crochet, patterns, story, The Big Acorn Race | Permalink.